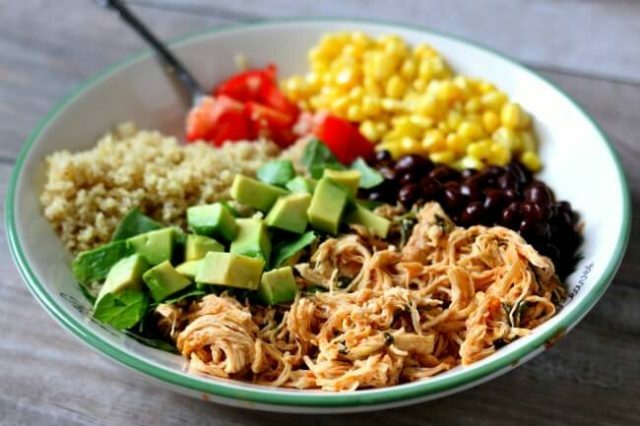 I love this recipe for chicken burrito bowls. 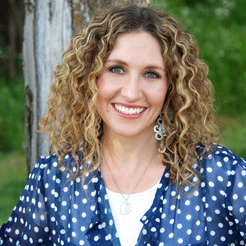 You throw your frozen chicken into the slow cooker (in the morning) or the Instant Pot (in the evening). Then you add in some lime juice and salsa (or picante sauce) and some seasonings. 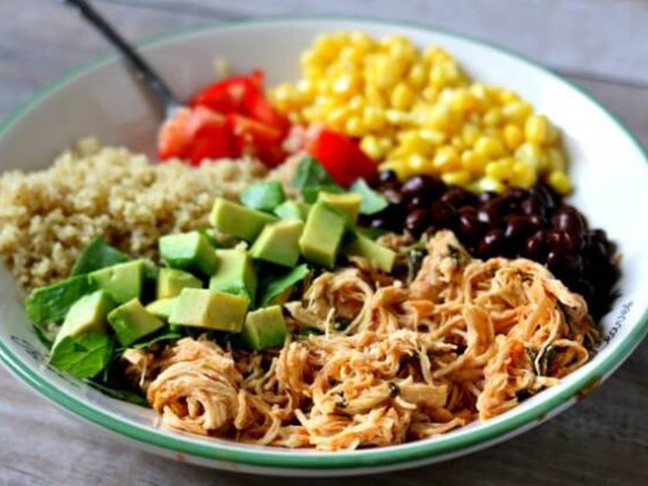 While the chicken is cooking you can prepare any other ingredients that you want to go along with your chicken burrito bowls. 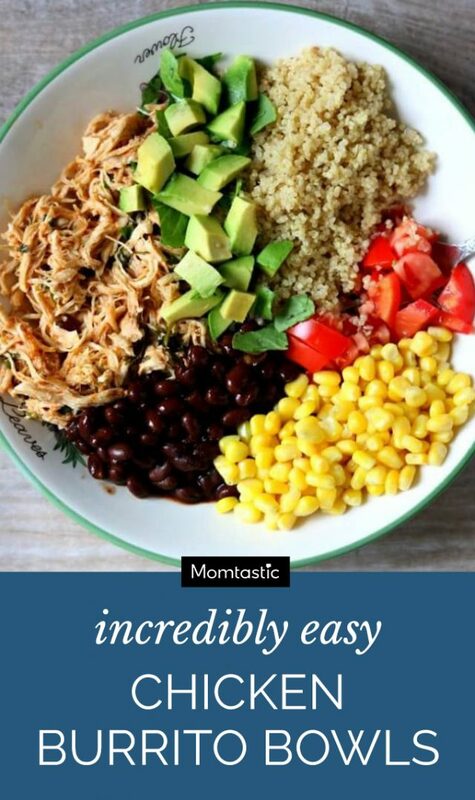 I serve mine with quinoa but you can just as easily serve it with rice (white or brown). I also serve mine with corn, black beans, diced avocado, diced tomatoes, lettuce, cilantro, sour cream, and grated cheddar cheese. Or try diced green onions, guacamole, tortilla chips, salsa, and tomatillo ranch dressing. My family inhale their burrito bowls and my son usually has thirds. 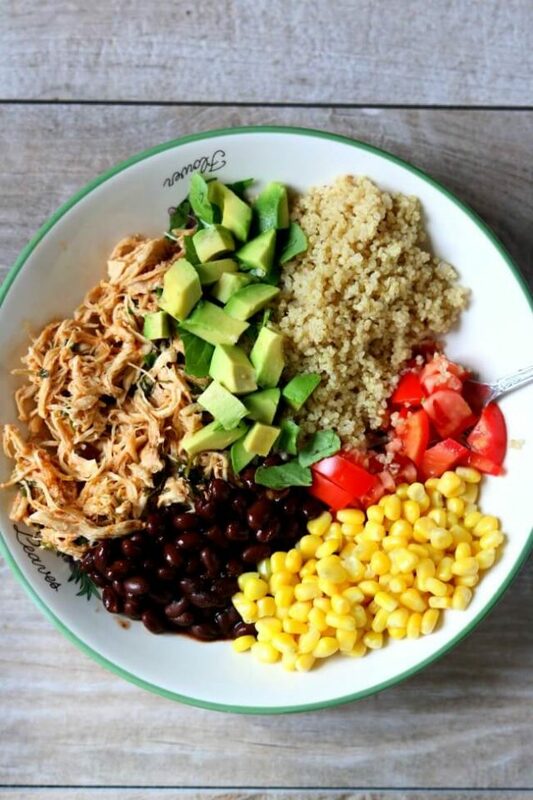 I love how everyone can just mix and match what they want in their burrito bowl…no whining kids equals a happy mom. Step 1: Make the chicken in either the slow cooker or instant pot. Step 2: While the chicken is cooking prepare the additional ingredients. If you need to cook rice or quinoa, prepare it now. If you would like your black beans and corn warmed, do that. Dice the avocados and tomatoes. Grate the cheese. Prepare any additional optional toppings you like. Step 3: Once the chicken is cooked and shredded stir it into the juices in the slow cooker or instant pot. Step 4: Scoop a half cup of rice or quinoa into a bowl, top it with a scoop of chicken. Drizzle some juices over the chicken and rice. Then add your additional toppings.